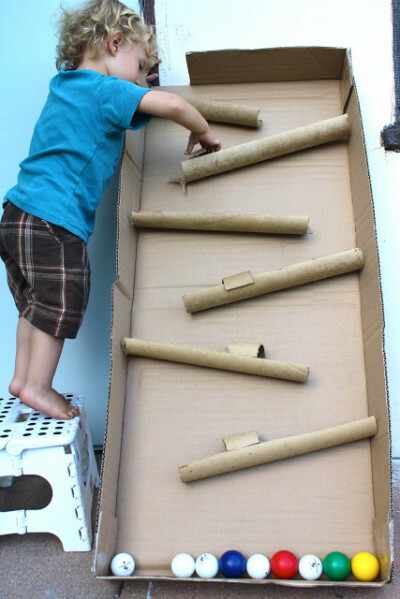 Transform a box and some cardboard tubes into an awesome ball maze! This is a great activity for predictions (will it or won’t it roll? ), gross motor (try to throw the ping pong balls onto the ramps from a distance), and just some general fun!